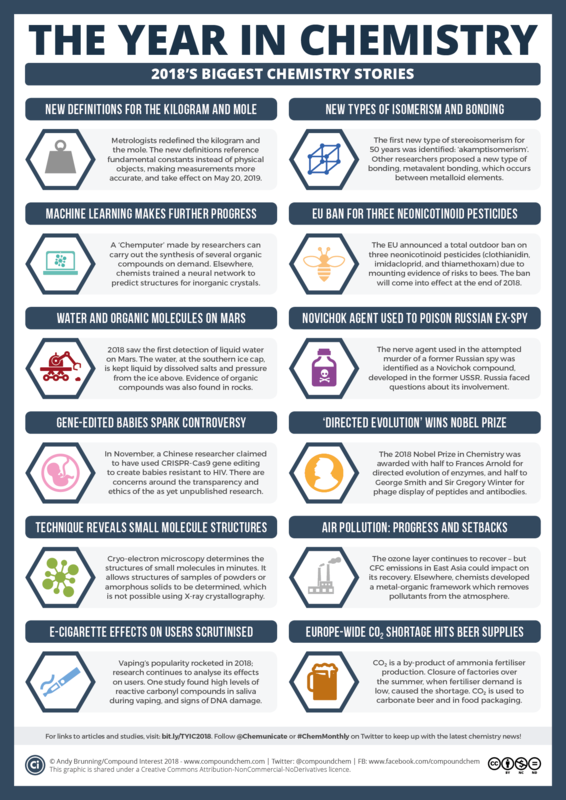 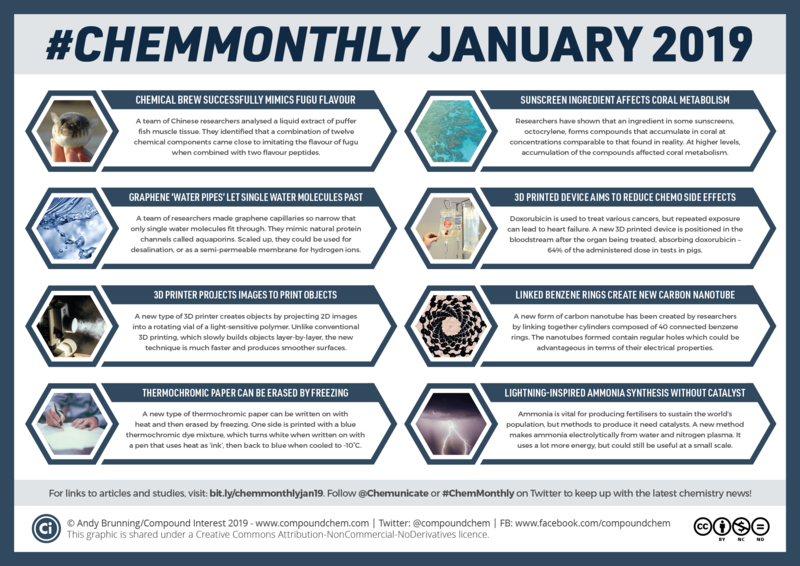 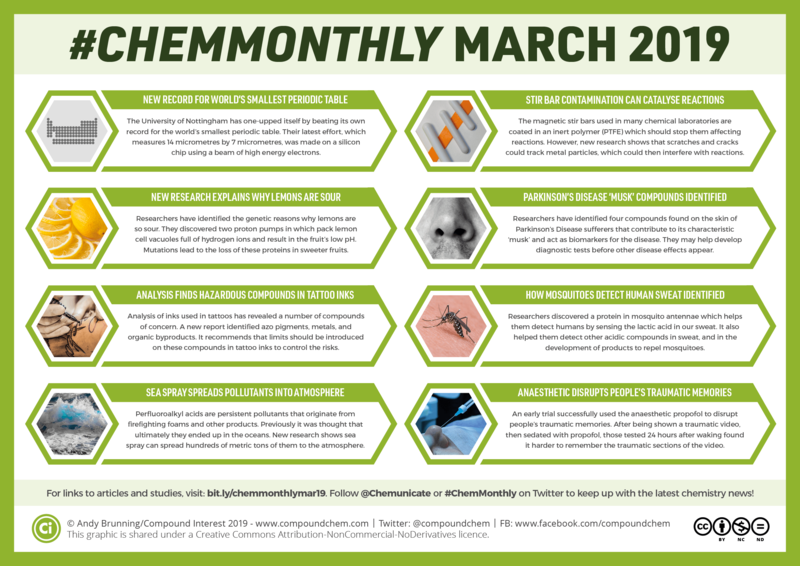 Here’s the monthly summary of chemistry stories that have hit the news. 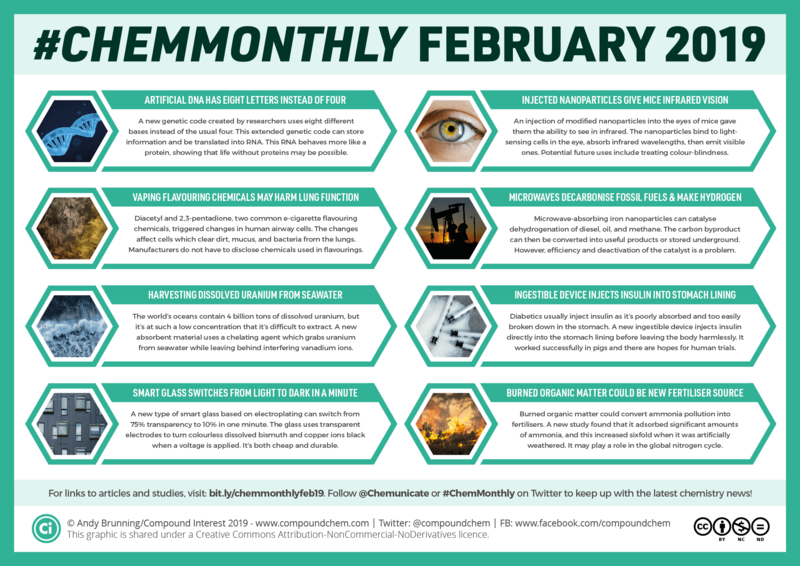 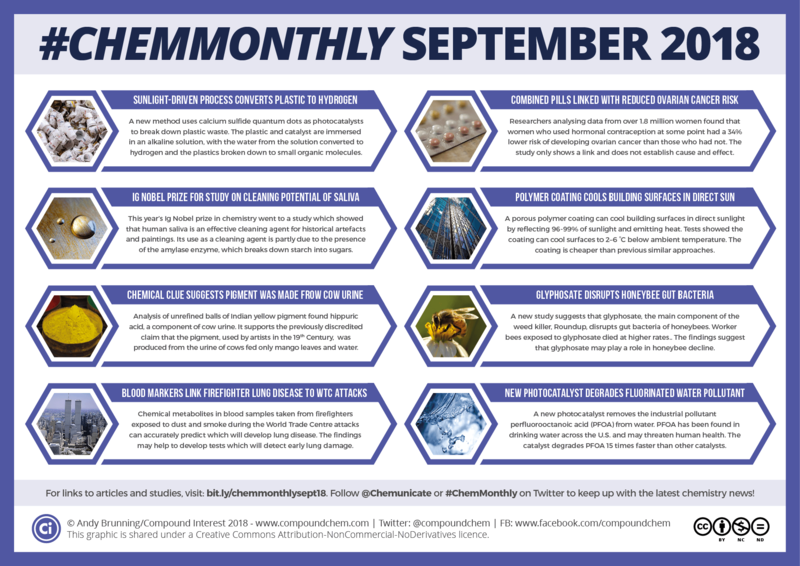 This month features news on a process to convert plastic waste into hydrogen, the cleaning potential of saliva, a polymer coating that can cool down building surfaces, and more! 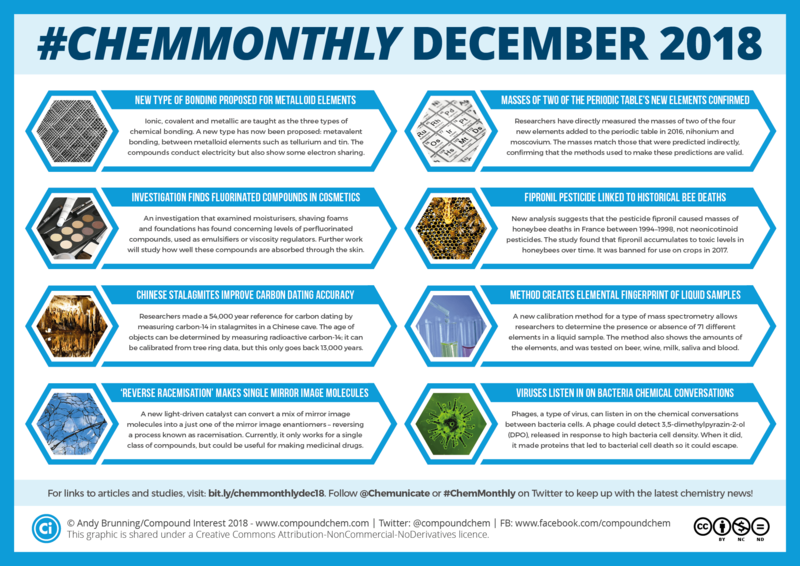 Larger summary images for each item are provided below, along with links to articles and studies for all the featured stories.